Bristol University is part of a £7m project to build micro robots that can help repair the underground pipe network preventing disruptive roadworks and road closures. The 1 cm-long robotic devices will use ultrasonic sensors developed at Bristol to find and mend cracks in pipes. Science minister Chris Skidmore visited the university labs to see the early work on the technology (above). “Having previously taught at the University of Bristol, I know just how deserving it is of its ranking within the world’s top 100 universities. Its research and innovation lead the way in its field and I have seen today how futuristic research can improve lives and make the UK even more competitive,” he added. “Our new research programme will help utility companies monitor hidden pipe infrastructure and solve problems quickly and efficiently when they arise. 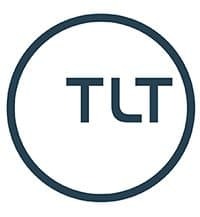 This will mean less disruption for traffic and the general public,” said Professor Kirill Horoshenkov from the University of Sheffield’s Department of Mechanical Engineering who is leading the project that includes work from Leeds and Birmingham. “This innovation will be the first of its kind to deploy swarms of miniaturised robots in buried pipes together with other emerging in-pipe sensor, navigation and communication solutions with long-term autonomy,” he said. The funding is part of the £93m Industrial Strategy Challenge Fund (ISCF) robotics challenge. 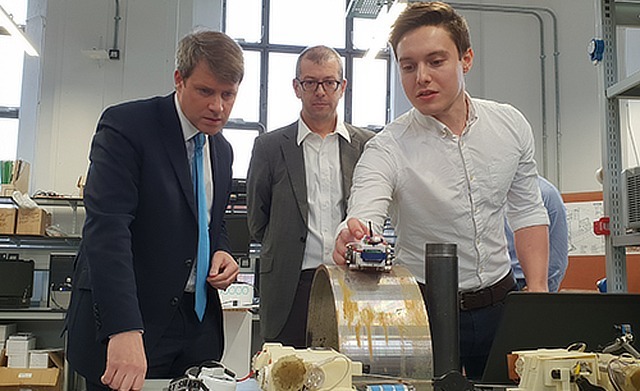 “It is work like this being carried out at Universities across the UK that has cemented R&D at the heart of our modern Industrial Strategy, with the biggest boost to funding in UK history to create high skill jobs and boost productivity across the country,” said Skidmore.